About: What does your child want to be when he/she grows up? 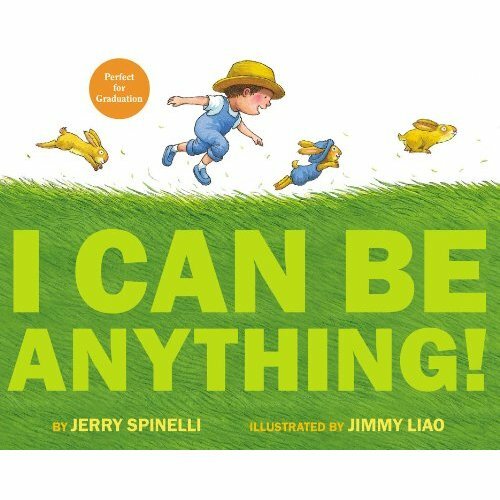 The child in this story doesn’t want to just be one thing; he wants to do a lot of different jobs, from dandelion blower to puddle stomper, mixing bowl licker (oh yes, I can relate to this one!) to cheek-to-cheek grinner. He wants to be a silly-joke teller and a make-believe critter. So which will he choose? This is a story that shows what all kids want to do – have fun and not take life too seriously. It’s also a lesson for adults to relax and not pressure their children about the future. Lots of fun can be had reading this book with your child, as together you discover the simple joys in life and re-enact each one. The illustrations are bright, cheerful and fun, just like the big text that boldly swirls along each page. The final page, a double-page opening to an enormous, vibrant show of all the fun things to do, is the highlight and will have your child coming back to this story again and again.